After graduating from the University of Portsmouth, Aneta completed her legal practice course (LPC) at BPP University in London before gaining legal experience working for a regional law firm in Southampton. Aneta’s current role is to assist personal injury partner Paul Fretwell in undertaking high-value claimant work. She assists Paul on variety of complex claims, acting on behalf of brain injured clients, as well as clients with other catastrophic injuries. 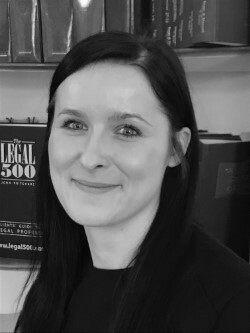 Aneta also specialises in representing Polish clients – with strong language skills, she is able to put her clients’ minds at rest and explain clearly what is happening at each stage to help them overcome any language barriers or lack of familiarity with the UK’s legal system.